Here’s a simple way to prepare the abundance of Japanese eggplants or the mini eggplants of summer. 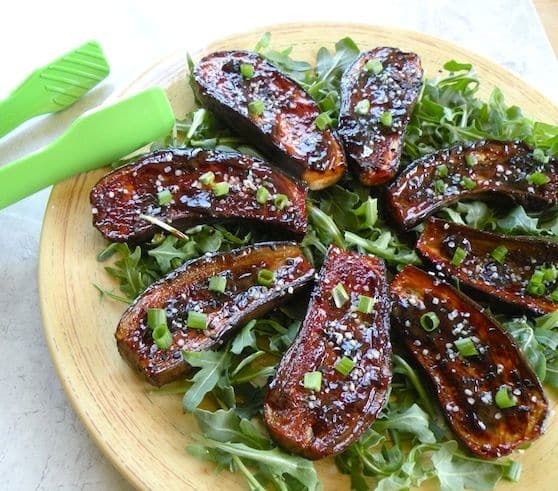 The hoisin marinade cooks into these small eggplants and makes them irresistible! 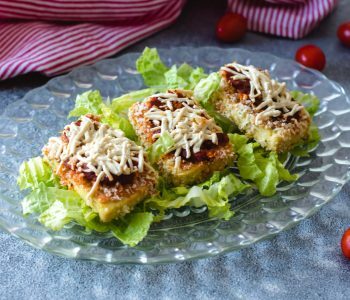 Serve with a cold Asian-style noodle dish and a simple tofu dish for a delicious warm-weather meal. 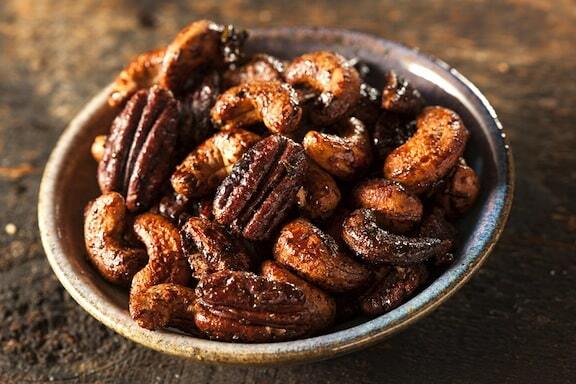 Or, serve on its own as an appetizer or first course. Look for hoisin sauce in the Asian foods section of well-stocked supermarkets, or at natural foods stores or Asian groceries. Here’s a simple way to prepare the abundance of Japanese eggplants or the mini eggplants of summer. 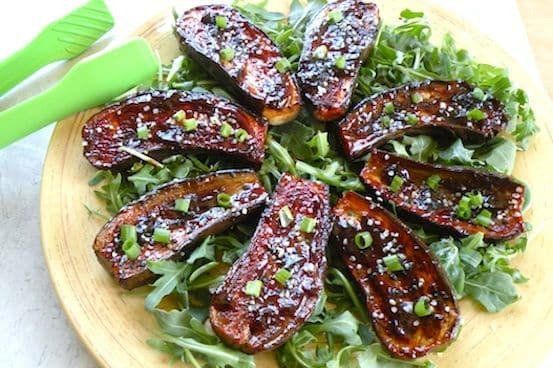 The hoisin cooks into these small eggplants and makes them irresistible! Trim the stem off the eggplants and cut in half. 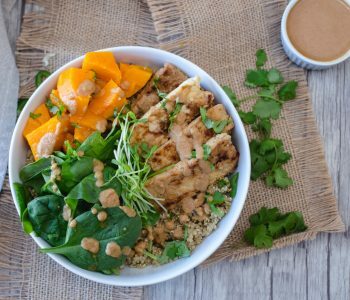 In a small bowl, whisk together the hoisin sauce, wine, sesame oil, and soy sauce. Pour the hoisin mixture into a large, wide skillet and heat over medium until the mixture starts bubbling. Arrange the eggplant halves, cut side down, in the skillet. Cook for 8 minutes over medium heat, then move them around so that they can absorb more of the marinade. 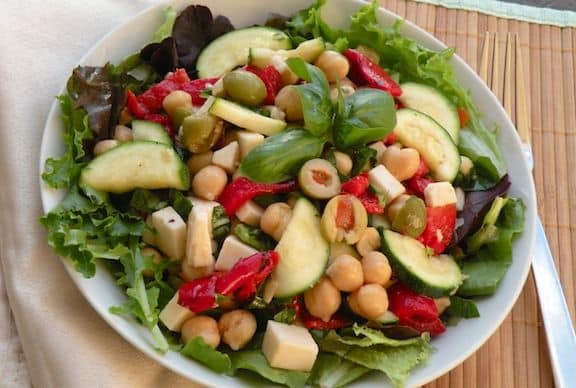 Line a serving platter with mixed greens or arugula, then arrange the eggplant halves, cut side up, over them. Sprinkle with sesame or hemp seeds and scallion. Serve warm or at room temperature. Here are more recipes in our Eggplant Extravaganza.